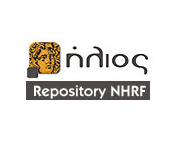 The National Hellenic Research Foundation, one of the largest Research Centers in Greece, was founded in 1958 originally under the name "Royal Research Foundation". 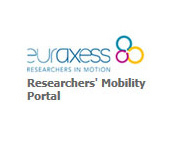 It is a non-profit Research Foundation supervised by the General Secretariat for Research and Technology (GSRT) of the Ministry of Education, Research and Religious Affairs in Greece. The Institute emerged in 2012 following the fusion of the Institute of Greek & Roman Antiquity, the Institute of Byzantine Research and the Institute of Neohellenic Research (L.4051/29/2/2012, article 5, par.2). 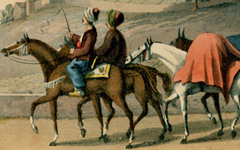 The IHR conducts research on the history and culture of the Greek areas and the regions where Hellenism has been active, from prehistoric antiquity to the modern era. IBMCB was established in 2012 as a result of the consolidation of the Institute of Biological Research and Biotechnology and the Institute of Organic and Pharmaceutical Chemistry of NHRF (L.4051/29/2/2012, article 5, par.2). IBMCB acts as a focal point, unique within Greece, for innovation at the interface of Chemistry and Biology through a modern interdisciplinary approach to the solution of state-of-the-art issues in the areas of health, drug discovery, biomarker research and biotechnology. TPCI was established in 1979 from the merging of the Institutes of Physical Chemistry (est.1968) and Theoretical Chemistry (est.1976). 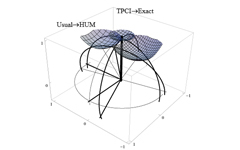 TPCI advances research in selected fields of experimental and computational/theoretical chemistry and physics, with emphasis on nanomaterials with advanced functionality for energy conversion and storage, photonics, and electrochemical applications. 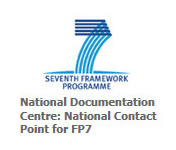 EKT was founded in 1980 as a documentation unit within NHRF initially, developed to a National infrastructure in 1986. 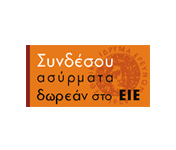 EKT is the National infrastructure for the collection, aggregation, documentation and dissemination of the scientific information produced in Greece. 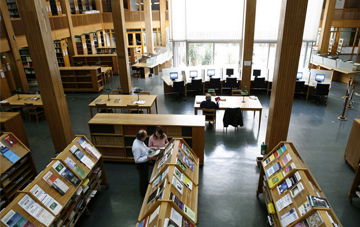 EKT provides advanced services to the country's research, education and business communities and the wider public. 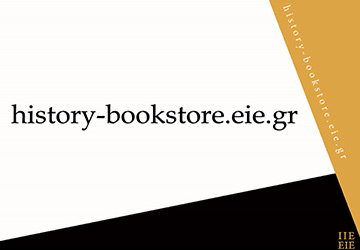 Through its e-infrastructure and services on top of the content it aggregates, EKT aims to cover the scientific information needs of the country and promote the Greek research outputs abroad. "Nitrogen bridged 1D, 2D, 3D polymeric materials: electronic transport, redox activity, electrochromism and fluorescence"
"Understanding the properties of aqueous systems and their interactions with nanoporous materials and sustainable ionic liquid solvents to develop environmental, energy storage and geological applications: A computational modelling perspective"
Dimitria Malamidou, "Οι πλουτοπαραγωγικές πηγές του όρους Παγγαίου κατά την Αρχαιότητα: Ανάμεσα στη Θάσο, την Αμφίπολη και τους Φιλίππους"
Dr. Georgios Skretas, Senior Researcher at the National Hellenic Research Foundation, is awarded a Consolidator Grant from the European Research Council (ERC) to develop engineered bacteria that accelerate drug discovery against diseases caused by protein misfolding. 14 Early Stage Researchers (Marie-Curie Fellows) to be trained in a European training network for the discovery of small molecule neurotrophin mimetics as candidate therapeutic agents for neurodegeneration and neuro-inflammation. 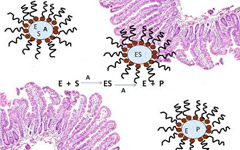 A new interdisciplinary study from groups at the Theoretical and Physical Chemistry Institute (TPCI) of the National Hellenic Research Foundation (NHRF), Athens, the Institut des Materiaux Jean Rouxel – CNRS Nantes, France, the Instituto de Nanociencia, Universidad de Zaragoza, Spain, all within the H2020 Marie Curie ITN “Enabling Excellence” project, and Chimie des Interactions Plasma-Surface, University of Mons, Belgium, proves that 1,2-dithiolane derivatives can covalently anchored preferentially at the MoS2 sheet edges. 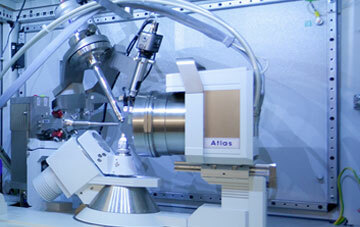 This key result presents an important piece to the puzzle of 2D materials’ chemistry. Making use of recent advances in nanotechnology, novel optical nano-tweezers were developed by researchers of the Theoretical and Physical Chemistry Institute at the National Hellenic Research Foundation (NHRF) in Athens, Greece, in collaboration with researchers of the Department of Physics and Astronomy at the University of Southampton, UK. 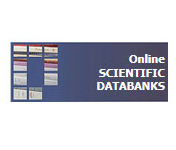 Interdisciplinary studies from groups at the Theoretical and Physical Chemistry Institute (TPCI) in National Hellenic Research Foundation (NHRF), the Section of Cell Biology and Biophysics in Department of Biology, School of Science, National and Kapodistrian University of Athens (NKUA), the Proteomics Core Facility, Systems Biology Center in Biomedical Research Foundation of the Academy of Athens (BRFAA), and the Laboratory of Experimental Physiology in Medical School, National and Kapodistrian University of Athens (NKUA), unveil the essential contribution of s36 protein in the assembly and architecture of Drosophila chorion and the novel function of s36 chorionic protein in the regulation of number and morphogenetic integrity of dorsal appendages in follicles sporadically undergoing aged fly-dependent stress. Ice-covered C60 crystals, an interstellar birthplace for early life? The course “Institutional economic networks in the Mediterranean 18th-19th centuries” is offered in the framework of the Program of Postgraduate Studies of Department of Political Science and History at Panteion University. 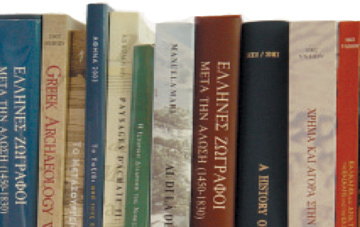 The course is conducted by the researchers of the Institute of Historical Research: Maria Christina Chatziioannou, Dimitris Dimitropoulos and George Koutzakiotis, and will be held during the spring semester 2016 in the National Hellenic Research Foundation. Underwater archaeological research at the northeast area of Delos (2014-15), a collaboration of the Institute of Historical Research (IHR) of the National Hellenic Research Foundation (NHRF) with the Ephorate of Underwater Antiquities. 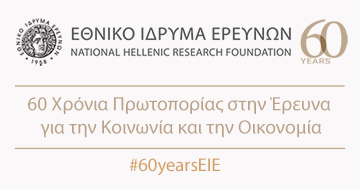 Presentation of the Institute of Historical Research of the National Hellenic Research Foundation on the website “Academic and Research Excellence” supported by the Ministry of Education and Religious Affairs. The National Hellenic Research Foundation, the General Secretariat for Research and Technology and the General Secretariat for Youth have instituted and co-organize Excellence in Innovation & Entrepreneurship AWARDS for 2014. 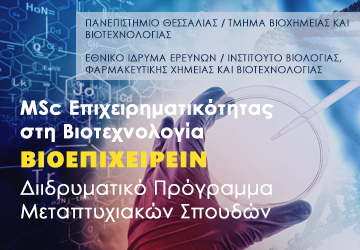 The Institute of Biology, Medicinal Chemistry and Biotechnology (IBMCB) of the National Hellenic Research Foundation (NHRF) (www.eie.gr) announces a call for an international expression of interest for staff research positions. Evangelia Balta (Research Director, Institute of Historical Research) was awarded the "Order of the Merit" (Liyakat Nişanı) award from the Republic of Turkey, for her contribution to the field of Ottoman Studies. 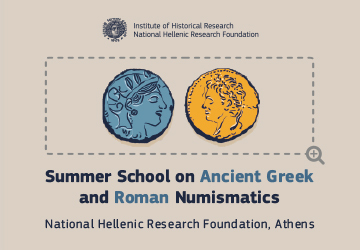 As a result of the recent evaluation, the Institute of Historical Research of the National Hellenic Research Foundation has been classified as first among the Greek Institutes of Social Sciences and eleventh among the Research Institutes of all disciplines of the country. The new electronic platform for the journal of the Section of Greek and Roman Antiquity (SGRA) Tekmeria (http://tekmeria.org/ index.php/tekmiria) and the new issue 11 (2012) of our journal are now available online.